English League Division One match at Selhurst Park. Crystal Palace 2 v Newcastle United 1. 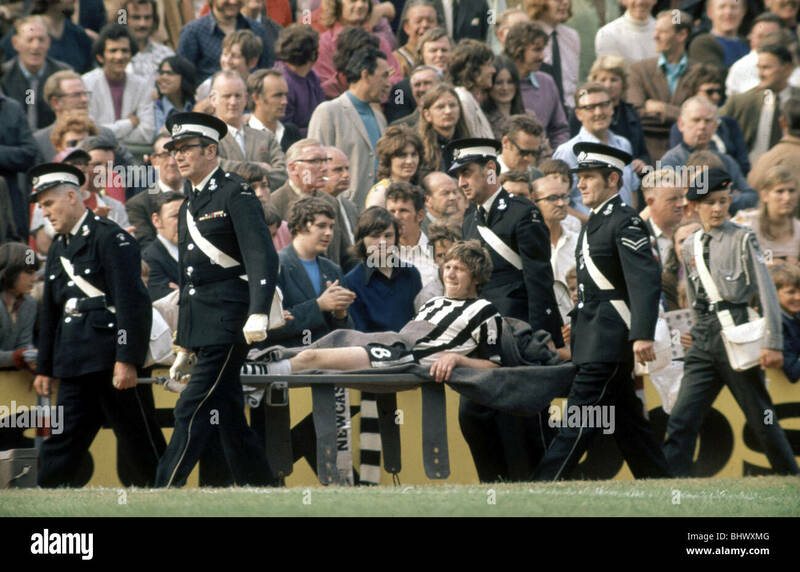 Newcastle's Tony Green is taken off on a stretcher after receiving an injury. 2nd September 1972. The Palace jinx returned in September 1972 when Green was scythed down at Selhurst Park by Crystal Palace defender Mel Blyth and seriously damaged his knee. He was stretchered off and out of football for over a year.